Often times, I am traveling with a significant amount of lighting equipment. It is heavy, bulky and can be a challenge logistically to get into remote locations. My goal is always to be as fluid and adaptable as possible with location lighting in order to allow myself the freedom to go virtually anywhere in the world to make a portrait. I have to take the best equipment possible with me and that can be a challenge when I need to travel light. But it is also unacceptable to sacrifice quality by taking products that I can't trust and don't allow me the flexibility I need to go anywhere and adapt to what the location gives me. Up until now, what that has meant is lugging my Profoto Pro-B4 Air packs with me along with a host of modifiers. Don't get me wrong, this is my go-to kit for a reason — it is the best for what I do. Not only do I expect that, but my clients deserve that. That being said, I have yet to find an ultralight solution that offers me the power, versatility and speed I demand out of my equipment. But why does speed matter? On location, I sometimes have only a matter of minutes when everything comes together to make that crucial picture my client needs. When working outdoors, this can mean pulling everything and running to a different spot to react to what the light, weather or background is giving us at a moment's notice. While I have worked with the Profoto B1 units and am a big fan of their features, I am a sucker for anything that allows me to work faster and more efficiently on location. Personally, I don't often bring a B1 unit outdoors on location. This is primarily due to the weight of having a monolight and a big modifier atop a light stand on location. You can't predict what will happen with wind, the terrain and the weather. My goal is to keep the weight atop the light stand as minimally as possible, and this means using strobe heads and pack combinations. This also allows me to put the light in trickier situations or allow an assistant to become a mobile light stand and have the strobe on the end of a boom that can be held and moved freely to follow the subject. The B2 offers me exactly that while preserving key features that have made the B1 the game changer it has been. My good friend Brad Rogers was also along on the trip and he was willing to serve as model for me if we ran into any difficulty sourcing locally. Having that as a backup was key in planning as I knew I always had a Plan B. The main reason of the trip was to photograph the Aurora Borealis for my Night Light book project, so while I was working on the other elements of the trip, Chris was working to arrange access to the locations for the portraits. We arrived in Iceland and headed out to the first ice cave, where we did an initial test shot with Brad. I was able to get a feel for how the product would react on location, what my recycle time was and how quickly I could unpack, setup and start shooting. We didn't want to waste any time on the upcoming two shoots when we had our mountain guides. The challenge in all of this? The weather. It was brutal this trip. We were weathered in at various hotels on three different occasions. The insane winds and whiteout conditions caused accidents, shut down roads and knocked out power. We knew our dates for the portraits but had no idea what the weather would be. The only thing I knew was that we would have to deal with it and make the picture regardless of what ever Mother Nature threw at us — and throw she did. Of the two weeks I was in Iceland, I can recall only two days the wind wasn't blowing like hell. When it wasn't blowing driving sheets of rain, it was blowing sand — black volcanic sand. There was good that came out of the difficult conditions. I like a proper challenge and I really was curious to see how the B2 would perform in the elements. Additionally, the windows to shoot the two portraits were the two last shoot days of the trip. next evening after that night's storm cleared, we were back on the road and headed to our afternoon meeting and shoot atop the Svínafellsjökull outlet glacier with ice and mountain guide Víðir Pétursson. As a guide and as a search-and-rescue team member, I wanted to show an element of the difficult terrain for those who not only explore but also are called upon for life-saving search-and-rescue operations on the glacier. Our location is the same glacial tongue of Vatnajökull where parts of the movies “Batman Begins" and “Interstellar" were filmed. For this location and due to the time spent getting to and from location, our window to shoot was even smaller. Fortunately, we had no tourists to worry about. Once we found the spot for the portraits, the light started to disappear fast. I quickly unloaded the kit and handed the key light to Chris so he could again act as a light stand and use the center column of the Manfrotto Nano stand as a boom so we could position the light right where we would need it — or as best as we could given the wind sweeping down the glacier. It was no easy task for Chris. From the time the lights were unpacked and exposure was dialed in, we had around 5-10 minutes worth of sunlight left before we would lose our background. In situations like this, I tend to hammer pretty heavy on the trigger so I can make the most of the moment when I have it. For me, that is the biggest drawback of using speedlights in such a situation. The B2 handled the situation even better than I expected. The flashes triggered every time and consistently in output. Andrew is a commercial and editorial photographer based in Indianapolis and working globally. He specializes in sport, portraiture, travel, higher education and reportage photography. Gigapans is not every man's cup of tea. Just like panoramas. We offer our recent take on a GigaPan EPIC Pro. The Gigapan allows you to take many shots then form them into a big, gigapixel image that you can zoom and zoom and zoom into. The basic idea is you take a lot of already zoom-ed images then stitch simply them together. It's up to your imagination how you want to use this technology. 3. Start taking, hope you have a book with you. The EPIC Pro has all the bell and whistles if you need them inclusing automating HDR shots taking, time delay for taking of night shots/ long exposures but the idea is generally the same. Once you've taken the shots, there's still some work to be done. 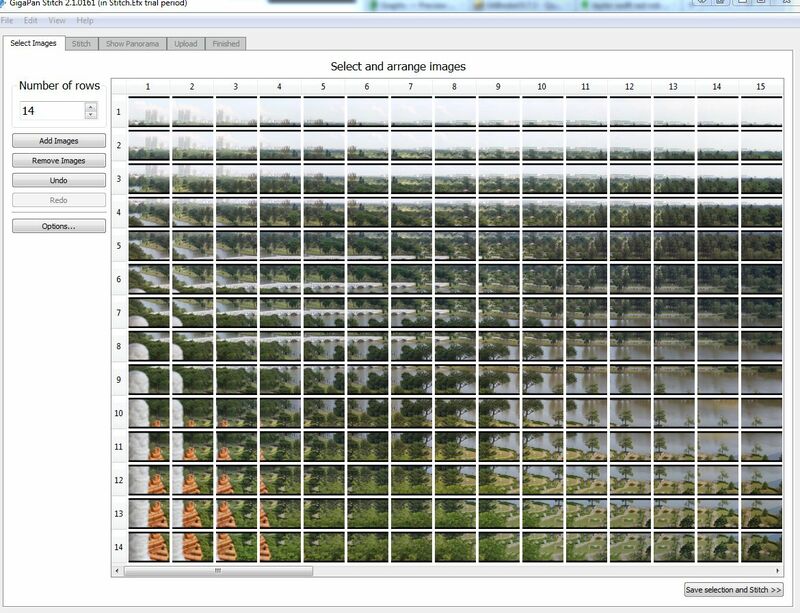 Using the GigaPan Stitch, first select the number of rows. We forgot how many rows we used but it was easy enough to figure it out. Simply dump all the images in, we have 714 then keep clicking the up arrow till images of the same coloumn appears together. We had 14. From the above, to the bottom. Easy peasy. Then click Save Selection and Stitch. 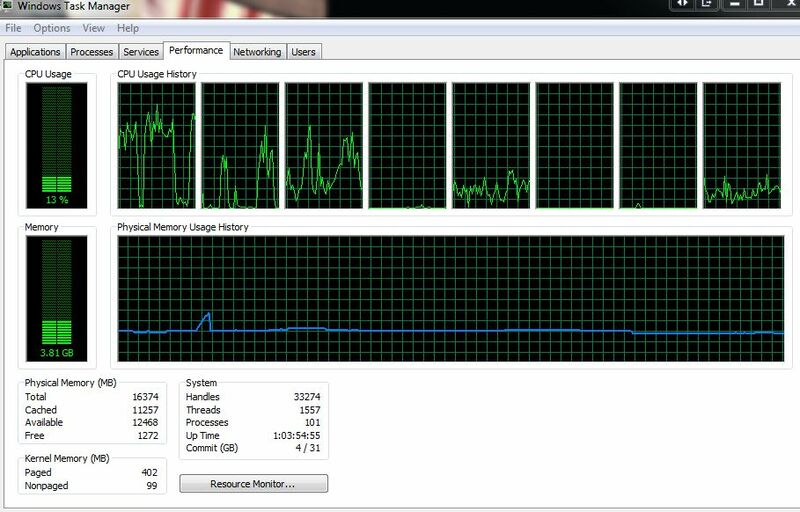 During stitching, it doesnt seem to be taking up much RAM and CPU power as compared to when we were using PTGui. On our stitching machine, it's not a really powerful one but it's a relatively decent setup. We feel it does save a bit of time as the workflow differs from PTGui and other than viewers like Zoomify, there's not much you can do with the final image. PTGui always loads the images to be stitch first and with 700+ images, it takes a while to be loaded, then it starts stitching also taking up time. 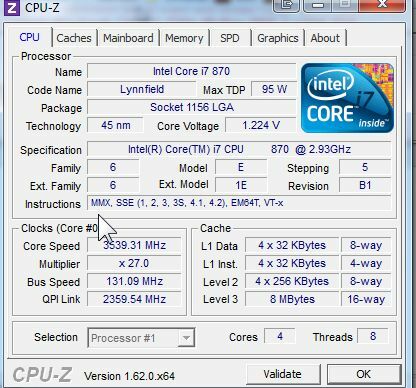 We estimated around 1.5 hours on the below PC specifications. 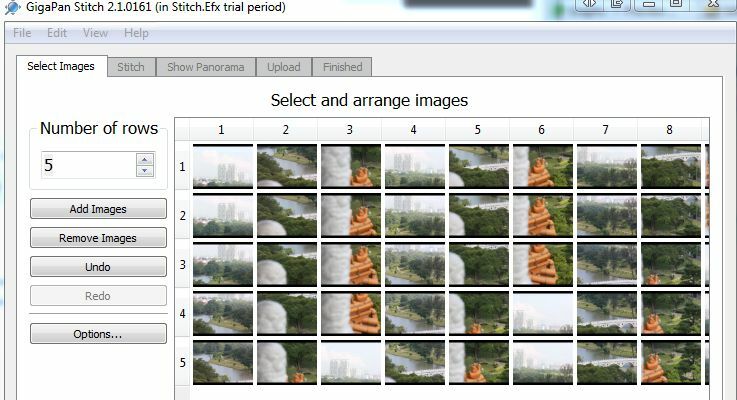 Once done, it took us about 2.5 hours, you can upload it to GigaPan from within the software and that is the only way you can upload it. Enter your username and password from within the software. The website although mentioned in Wikipedia that it is a open website, it is open to owners of Gigapan Hardware. 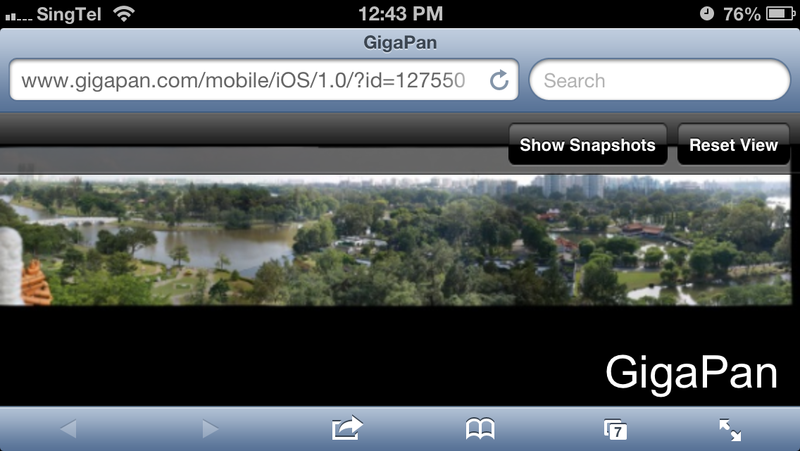 GigaPan.com is an open website where users can upload, share and comment on gigapixel images. There are over 50,000 registered members, with nearly 100,000 gigapan images uploaded to the site. It's not for everyone, you need to own the Gigapan Hardware, find something interesting to shoot and we were up in the Chinese Garden's pagoda for almost 2 hours waiting for this to finish. 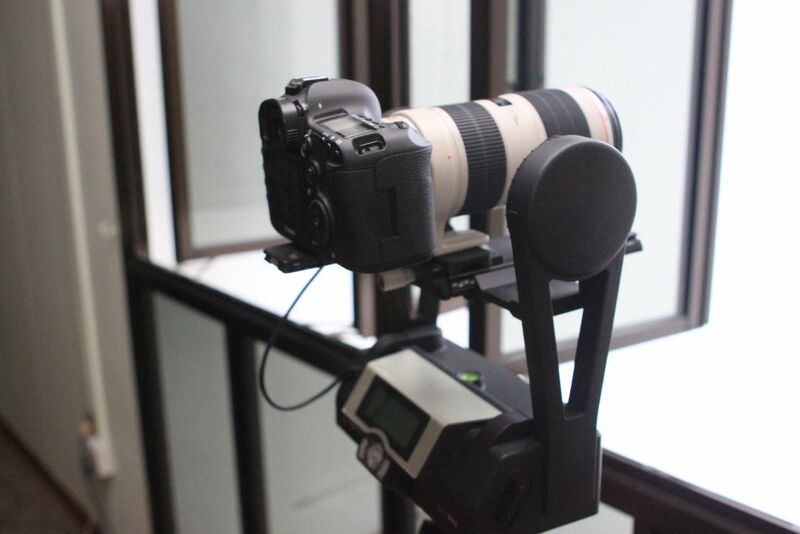 This 700+ Gigapan took around 50 mins to shoot. Being our first time, we took 3 sets to be safe before returning the review unit. Sit around for it to stitch after reaching your PC at home, upload it then enjoy the fruits of your labour. The gear is not light, the EPIC alone is 3.3kg. We had with us the Epic Pro, a 5DMK3, 70-200mm lens and was packed into 2 bags. The pagoda is 7 storeys tall and has no lifts, not much problem since it's not that tall but if it was to use this on some beautiful mountain, we may consider otherwise like their Epic 100. It will work and may produce more interesting gigapans with a super zoom like the Canon EF 400mm or 500mm primes but the weight of the whole setup can be quite a put off. The whole gigapan setup may be interesting for things like President Inauguration or construction sites but may be sitting at home and doing not much. It's quite a specialised product but it sure does produce some interesting gigapans. 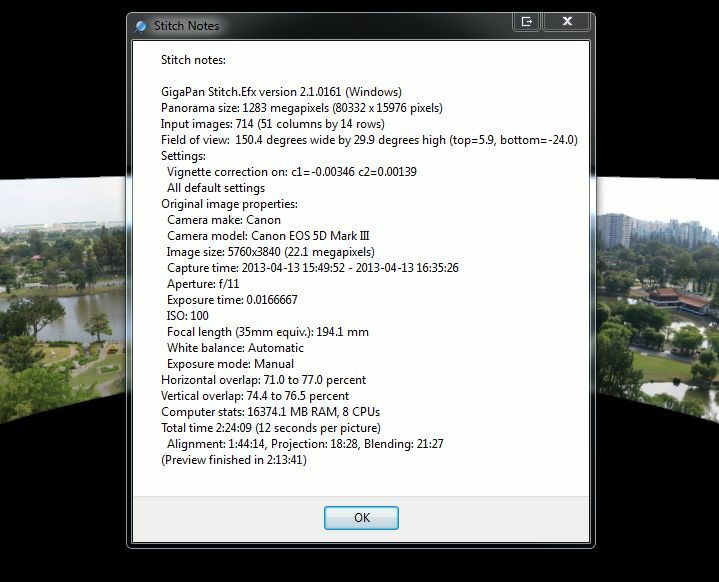 Gigapan has created a whole workflow for you. Producing the Epics, software to assist you in stitching them, the website to host them for you. They have to actually. Hosting the gigapans yourself could be daunting taking up quite some space. The finished stitch we have via PTGui was about 3.5Gb. With Gigapan providing almost everything you need to take, produce and display your gigapan, you just need to worry about where to bring your setup to shoot some interesting gigapans. Being able to view your Gigapan is an obvious plus! Visitors are viewing more and more on mobile devices. It detected we were using an iPhone when we view the link and simply tell us iOS version can be viewed at a new link. Tap and you are viewing on your iOS. – Even faster stitching. Of course, that will work hand in hand in your PC's specs. 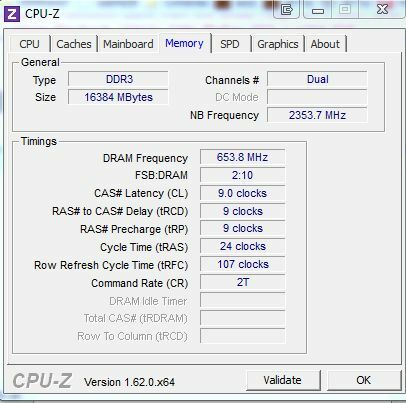 More ram, more CPU power = faster stitching. Below is the Chinese Gardens, Singapore Gigapan we did from the top of the 7th storey Pagoda. There are 2 shorter pagoda near the waters at the other end of the gardens. View on new page here. It's a family place, so please don't make out in the gardens and get giga-panned.. See if you can find them. Special Thanks to Orient Photo for the review unit. They have the whole range of Gigapan products. Visit them or Facebook them today. eDSLRs.com by Orient Photo Video Singapore is online now, more products available soon, stay tuned!